Everybody likes to have a clear skin that is devoid of any acne, pimples, patches or any other blemishes. Freckles are one among them that people detest to have. Freckles may be caused due to various reasons. However, a small percentage of people regard freckles as a thing of beauty. What are Freckles and Types in them? Freckles are small brown spots that appear on the skin, especially on the face, arm and the shoulders. If your skin is fair and more sensitive to sun and the damages caused by the sun, you are more at the risk of getting freckles. Freckles are formed when the production of melanin in some of the cells increases. As a result, they appear as small spots on the skin, which are darker than the normal color of the skin. There are different types of freckles depending on how they are formed. The main reason fro the appearance of freckles is exposure to sun. So we can differentiate them in to simple freckles and sunburn freckles. Simple freckle or epehlidesis is common during the summer months when you go out in the sun. They appear as flat, somewhat dark spots and tend to fade away in winter. It is usually found in people who are fair skinned. In some families it is also hereditary. 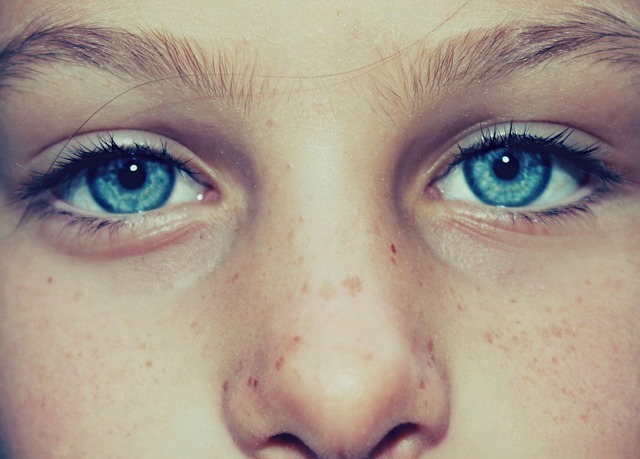 If you have a fair skin as well as red hair and green eyes, you are more prone to freckles. These are darker than the simple freckles and are called lentigenes. Lentigenes include sunburn freckles as well as some dark freckles. These appear on areas of the skin that are most exposed to the sun, like the shoulders and the back. Very rarely they may be genetic. There is also another form of freckles called liver spots, but it has no connection with any problems of the liver. These are found on the back of the hand due to old age. Sometimes non-malignant cysts are also formed around them and they are called barnacles. Apply the sunscreen lotion at regular intervals, as it goes off with time and sweating. Start using a sunscreen lotion from a younger age as this is the time when you are most exposed to the sun. Try to avoid going in the sun when the sunlight is very strong, say from 10 am to 4 pm. It is easy for those who work in an office and for those who are on night shift duty. Use a good sunscreen lotion with SPF value that depends on the environmental conditions that you live in. If your exposure to the sun is more, the SPF value also should be higher. Even if you go out in the sun, try your maximum to stay in the shade. If you have to wait outside, then wait under a shade and never directly under the sun. Try to minimize your exposure to the sun. People who are fair skinned, have light or red hair and light eyes must be even more cautious as they have a tendency to get freckles very easily. Keeping your body safe from the sun not only fades away the freckles already formed but also prevents the appearance of more freckles. When you go out in the sun, apply a good sunscreen lotion and also wear a hat. Bleaching removes freckles but you have ot be careful when you bleach the skin, or else it will make the condition even worse. Chemicals peels are sure to remove the freckles and make your skin blemish free. This is one of the most effective ways to remove freckles. Retinoid involves a lot of chemicals and is to be done only under professional guidance. They peel off the skin that is damaged and speed up the formation of new skin. Here extreme cold is applied on the tissues that are damaged. Usually liquid nitrogen is used for this treatment. Here also you have to consult a doctor. This method is expensive but it removes freckles permanently. Before you undergo this treatment, visit a certified dermatologist and get your skin checked. In this process intense light is made to fall on the affected spots and the dark cells are destroyed. Take 2 strawberries, one piece of papaya, cucumber and pineapple, and blend them together to make a paste. Apply this mask on your face and wait for 15 minutes. Then wash off with water. This helps in reducing freckles. Lemon juice is natural bleach and it helps in lightening the freckles with regular use. Slice strawberries and use them as a mask. If you do not have them, you can use apricots as well. All the skin lightening ingredients from the kitchen like honey, nutmeg paste, cucumber etc, are said to fade away the freckles. Make a paste of oats and sour milk and apply this paste on the affected areas. This helps in fading away the freckles. Sour milk is also good for cleansing your skin and making it blemish free. If your skin is sensitive to lemon juice, you can consume foods rich in Vitamin C. This will gradually help in lightening the freckles. However, this is not as effective as applying it directly on the skin. Use concealers to hide you freckles. If there is no way to remove freckles, start liking them and say to yourself that freckles are beautiful and it will increase your beauty.